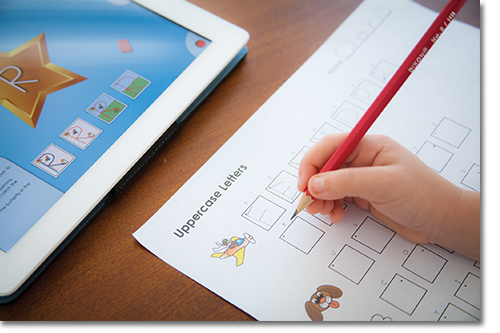 The goal of StartDOT® Handwriting is to help children learn how to write letters & numbers correctly, and to facilitate the transition from digital to real-world . . . from Pixel to Paper. Use these free printable worksheets in tandem with the app to help that transition. Select worksheets without Start Dots to increase the challenge level. Ask the child to complete a letter in the app, on the Learning Page. Follow successful completion of the chosen letter with writing the same letter on our worksheets.